1. Call Strands to set up your own personal consultation. 1-800-596-0616. 2. Fill out “About Me” personal form, or we can go over this together during your personal consultation. 3. Provide up-close current photos of your front, side and back via e-mail. Simple digital snapshots are fine. 4. 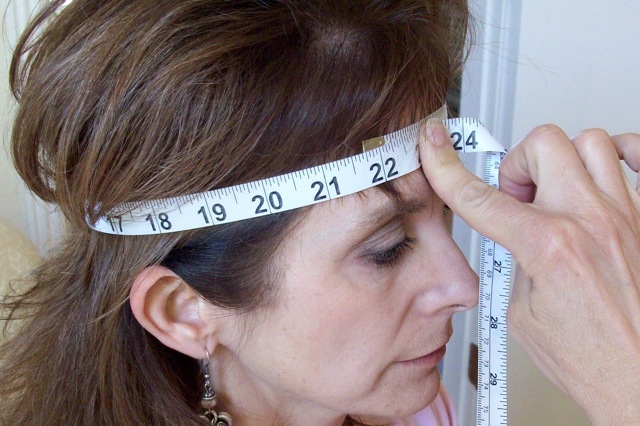 Provide the following measurements (see how-to section below for assistance): full head circumference; top of ear to top of ear across the top of the head; from where ear connects to the scalp to the other side where the ear connects to the scalp; front-to-back; and forehead. 5. Submit payment. Full payment must be made to begin process. 6. Timing of delivery and final product will be discussed based on varying schedules. It is important to contact Strands as soon as you know a wig will be necessary. A wig will be delivered prior to hair loss if you contact Strands at the beginning of Chemotherapy (if applicable). If you wait to contact Strands until you begin to lose your hair, a rush delivery may be an added and unnecessary expense for you. Fold the top of your ear down. 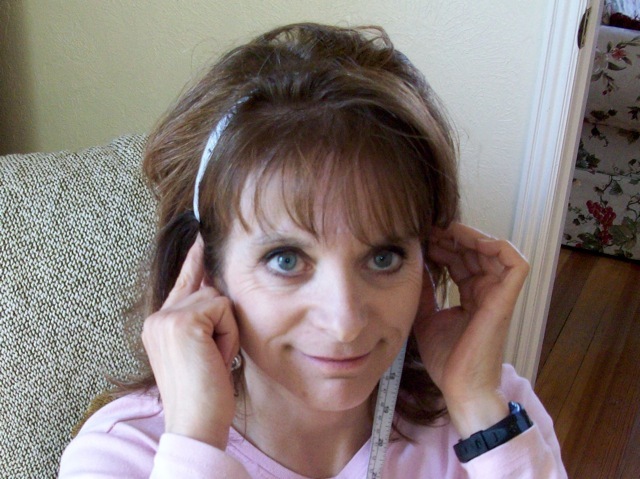 Place tape measure where glasses rest on top of your ear and measure to that point on the other ear. 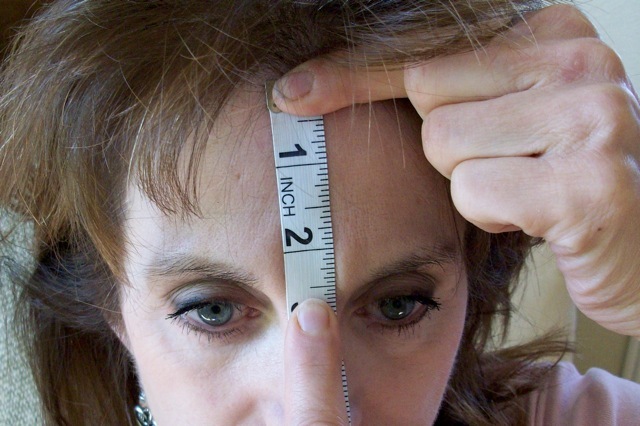 Measure from the front hairline (straight up from the nose where you may have a widow’s peak) over the top of the head to the nape of the hairline in the back of the head. 1. In the sink, hold your wig with the French-lace front up and the hair going in the downward direction (as not to tangle). 2. Let the water stream down the back as if you were leaning back in a shower. 3. After wig is thoroughly wet, gently lay it down on side of sink. 4. Put small amount of shampoo in your hand and rub hands together. 5. Pick wig back up with French lace-front in hand and massage shampoo down length of hair (do not scrub like with normal hair, but more like hand washing a sweater). Squeezing the shampoo this way allows the inside and outside of the wig to be cleaned. 6. Hold with French lace-front again and rinse thoroughly from front to end. 7. Set on the side of the sink again and repeat process with conditioner. 9. Lay the wig in a hand towel and gently squeeze back and forth to remove excess water – do not wring dry. 10. Place on Styrofoam head. 11. Using the reinforced strip at ear, place T-Pin to secure the wig to the Styrofoam head. Please note: only pin in reinforced area. 12. Gently brush in sections from bottom of hair to scalp.